Hey all! Back today sharing a card I made with the Art Impressions Pop Ups. These new designs are not yet available in the Ai Shop, but I encourage you to check your local craft and stamp stores, because there's a good chance that they have them. If not, ask your local stores to carry them, because they are super fabulous! 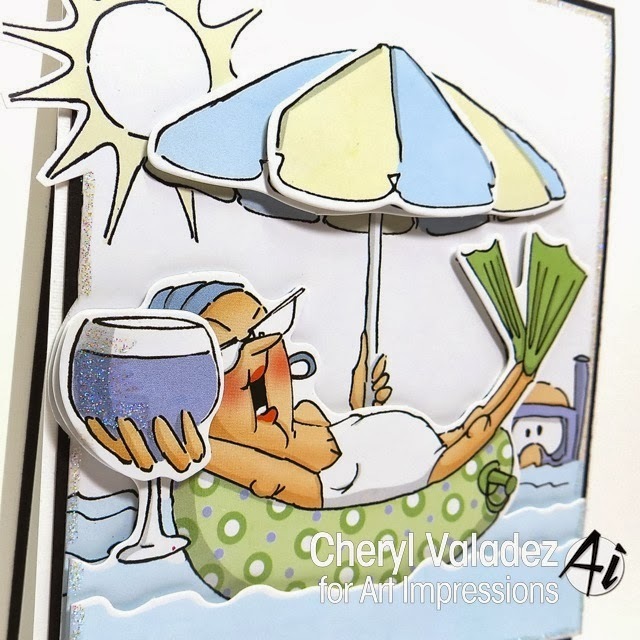 Need a quicky card that takes about 10 minutes to make? Look no further! These cards come together almost by themselves and their added popped up details make them extra special. LOVE their 3 dimensional feel and so will your lucky recipient. These sheets are perforated to create a larger square card, but I wanted to create a smaller A2 card measuring 4 1/4" x 5 1/2". 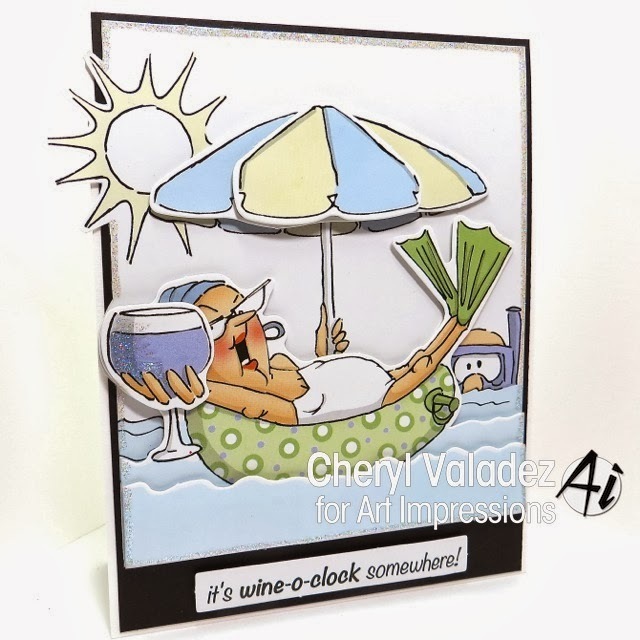 I cut the sides of my pop up sheets to fit this card and managed to not lose any details by fussy cutting around the sun and the wine glass. Fun, fun, fun! The other great thing about these sets is that they come with a number of sentiments. Use them on the front, use them inside, use them wherever you need them. Find some of the Ai Pop Ups in the Ai Shop along with LOTS of other fabulous images! Check out the Art Impressions Blog daily for inspiration from the Design Team!